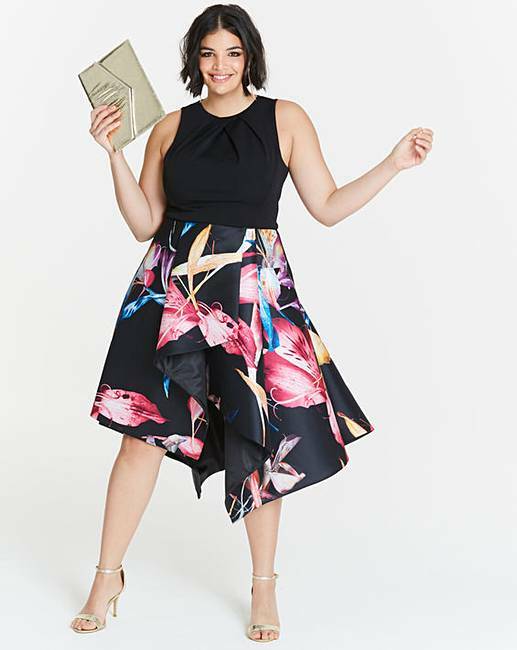 Make an entrance in the Coast Curve Katie Twill Full Midi Dress. 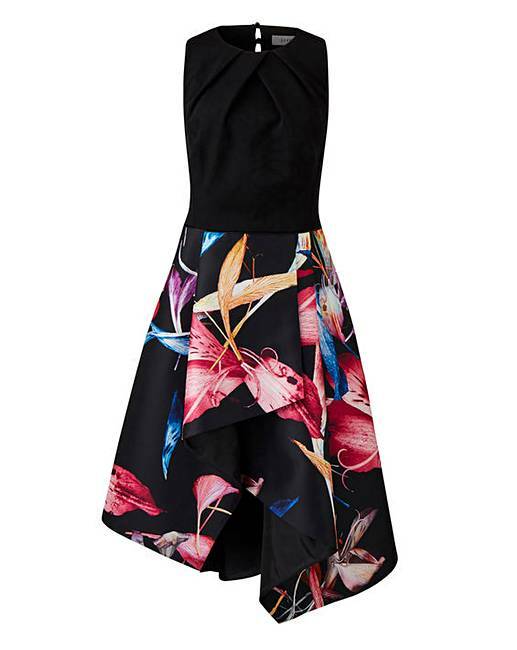 Perfect for a special event, it features a fitted bodice with an asymmetric floral skirt. 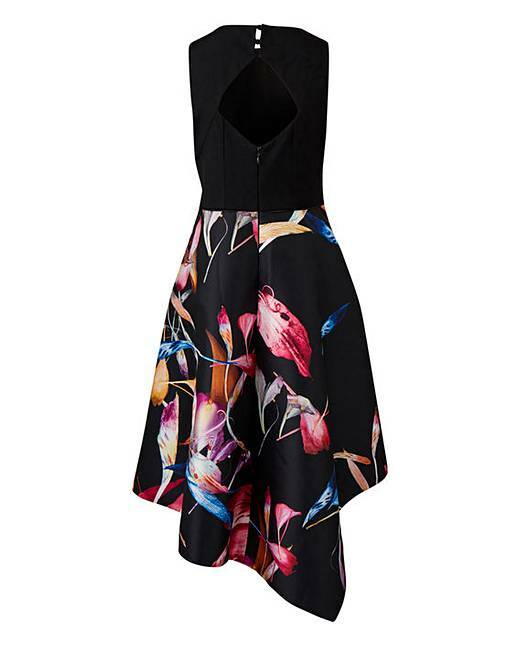 A gorgeous choice for the races, weddings and other special occasions. Bodice: 97% Viscose, 3% Elastane. Lining: Polyester. Skirt: Polyester.